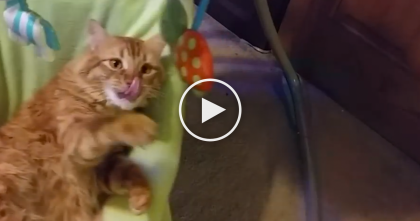 Kitty Tries To Spy On The World, But His Attempt Are Captured On Camera… SOO Funny!! This sneaky kitty tries to peek on what’s going on in the world from behind the bed, but his attempts at being stealthy are caught on camera for everyone to see! 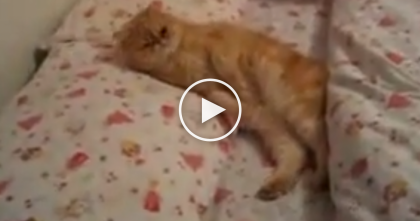 His adorable face keeps peeping up from the side of the bed, and it’s just too cute to watch this cat peek-a-boo on everyone! We can’t help but chuckle at his antics. What a funny kitty—SHARE the laughs with someone online! 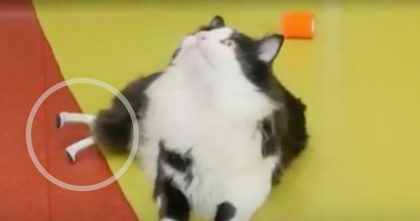 Car Ran Over Kitty And Ruined His Legs, But What The Vets Did To Him Next… This Is ASTOUNDING! 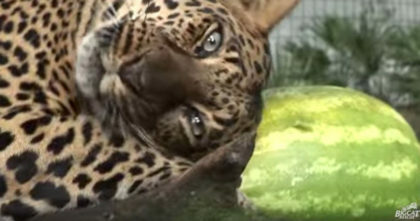 Rescued Leopard discovers a watermelon for the first time… Just watch his response, I LOVE it!! 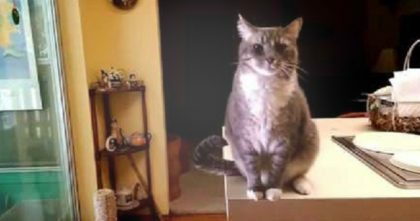 Cat Bows To Human Like A Little Gentleman Whenever She Walks In…Just Watch, Hahahaha! !